In almost every implementation of business applications (ERP specifically), we often hear customers asking to add new custom data fields across various forms of the application, for them to be able to track additional data for their business needs. Sometimes, these custom data fields may involve certain level of custom business logic too, and sometimes these would just be straightforward data fields, meant for additional data tracking with no additional custom logic. 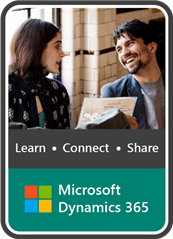 Microsoft Dynamics 365 allows you add and manage custom data fields across a wide range of forms and tables, without requiring any coding or development effort. In today’s post we will review this new feature. 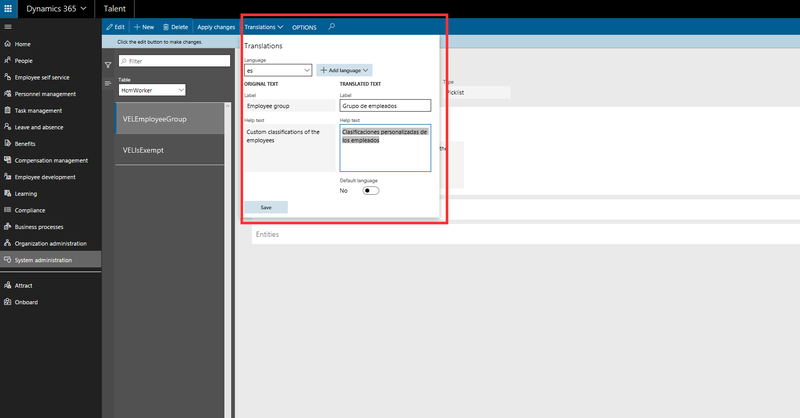 I am using Dynamics 365 for Talent to demonstrate this, but the same functionality is available in Finance & Operations as well as the Retail Management applications. NOTE: In Dynamics 365 for Finance and Operations, this feature is available in Platform Update 13. Let us say I as an end user of the system want to add 2 custom data fields on the Employee master. Data Field 1 “Is Exempt” : I need this to be a checkbox to indicate if an employee in Exempt or non-exempt. Data Field 2 “Employee group:” I need to group my employee’s in a very custom way, so i need this field. This will be a pick list(Dropdown type field). 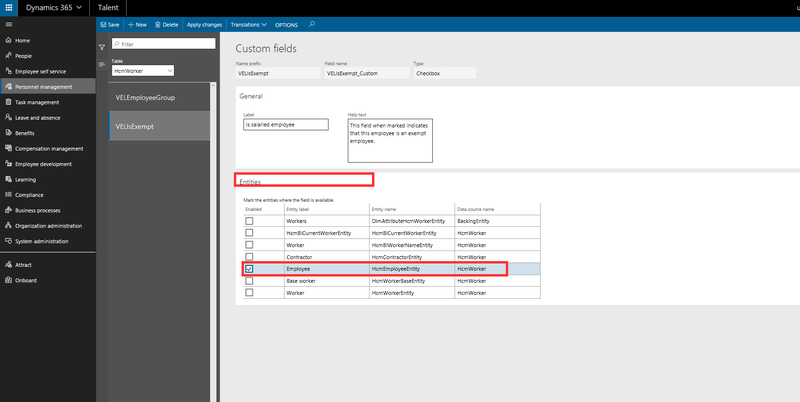 Dynamics 365 let’s you add the custom fields using the “Form Personalization” functionality. To add the new custom field, navigate to the form where you want to add the custom field and click OPTIONS > Personalize this form. In my case, I am on the Employees form. On the Personalization pane, select Insert > Field. Select the area of the form where you want to add the new field and you will see the new Insert fields dialog opening up. This lets you chose any additional existing data fields you want to add to the form. But this also lets you add a new custom data field. Next, you need to select the table where you want to add this new custom field. Note that only forms/tables that are allowed for adding custom fields will be visible here (You can see most common tables available here). Additionally note that, you will only see the tables which are included as a data source on the Employee master already. The table names here are more easy to read rather than being robotic names, which makes it easy for an end user to deal with this. I will add my first custom field, which is the “Is exempt checkbox“. Enter a Name prefix for your data field. It might be a best practice to follow a common pattern for all custom fields. System then creates the field name automatically. Select the field Type, which is Checkbox in my case. Enter a front end display label, which the user or everyone will see this field as. Finally enter the Help text, which will tell more information about this data field to an end user. Now i will go ahead and add my second data field “Employee group”, which is a picklist. I added the 2 custom field on the employees form just like that. I will now click Save to see my changes. On the next screen, just click the Insert button. We will now see these 2 new fields in action on the Employee details page and we can start using these. How cool is that!!! Can I share custom fields with others? Yes, you can !!! If you or others of your organization creates a custom field on a form, they can share it with other users (All or specific subset of users). There are 2 ways you can do it. The best way is to have your system administrator manage this. Under System Administration > Personalization menu, they can select specific use(s) by their security role or simply for All users, and then either ‘Select an existing personalization to apply for those users”, or they can also import a personalization file for those user(s). The other option is for you to simply export your personalization and share it with specific users and have them import those on to their view. Yes !! A user with System administrator privileges, can see and manage ALL the custom fields added by everyone in the system , all at one place under System Administration > Setup > Custom fields page. Here , you can Edit the Label, Help text or even the length of text fields. You can also add new values for Picklist type fields at any time. Note that you cannot change the Fieldname, Field type. Lets say i want change the label of the “Is Exempt” field to “Is Salaried employee” and i want to add a new value to the Employee group field. If I now go back to my employee details form, You will see the changes reflected there. Can I delete a custom field if I don’t need it anymore? How can I add a custom field to a data entity? When you introduce custom data fields on tables/forms, it is highly likely that you want to expose those fields and use them in Data uploads, edit in excel etc. The Custom fields feature supports this scenario. After you have added custom fields, your admin can enable those on selected data entities Under System Administration > Setup > Custom fields. How about multi-language support for custom fields? Dynamics 365 supports multi-country, multi language requirements. When you add custom fields for your needs, you can enable additional language support for those as well. What a neat feature!!! This is something a lot of users and customers have been looking for. Hope this feature will continue to improve.